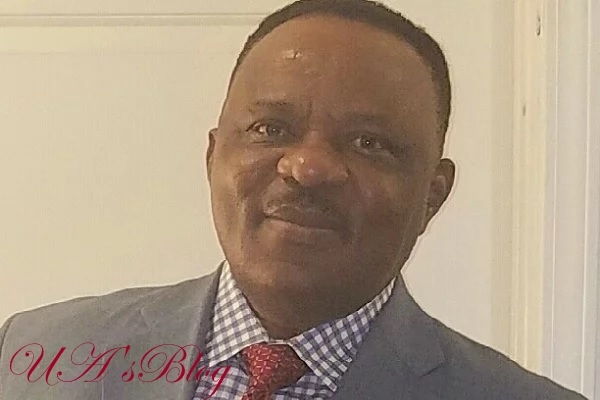 A chieftain and presidential aspirant on the platform of the All Progressives Congress, APC, SKC Ogbonnia, has said that there was crass impunity and stark arrogance on the part of the party leadership. According to him, the APC primaries were replete with norms alien to the party’s cardinal principles. Ogbonnia said this in a statement he personally signed and sent to DAILY POST where he also congratulated President Muhammadu Buhari for emerging the APC’s standard bearer in the coming presidential election. Ogbonnia, who had always condemned the policies of the current administration, pointed out that there were no other alternatives to President Buhari, adding that he will not fold his hands and watch the Peoples Democratic Party, PDP, and their candidate, Atiku Abubakar return to power in 2019. He said, “Let me begin by expressing immense gratitude to our teeming supporters, particularly the masses, who have stood behind this campaign till this date. “I aspire for the office of the president of the Federal Republic of Nigeria because I am blessed with the unique will and the capacity to unleash the abundant potential of Nigeria to greatness. “This dream will endure. For this electoral cycle, however, our great party, the All Progressive Congress, APC, has spoken, and I urge all to respect the party’s choice. “I, therefore, congratulate President Muhammadu Buhari as the presidential nominee of our party in 2019 elections. I wish him the very best as he takes on the responsibility of achieving a resounding victory for the greater good of Nigeria. “I want President Buhari to win. Therefore, this congratulatory message must be grounded in the truth. Recognizing that the APC remains a party for progressive change, I charge Mr. President to ensure that the nature of his campaign for re-election shows a decisive change from the APC primaries. “By design or default, probably the later, the primaries appeared to be replete with norms alien to the party’s cardinal principles, including prohibitive nomination fees, arbitrary exclusion of qualified aspirants, brazen lack of level playing ground, lack of transparency, crass impunity and stark arrogance on part of the party leadership. “A multitude of party faithful is aggrieved from the primaries, and understandably so, but I am calling on all to close ranks for a bigger purpose. Even as the APC and President Buhari may not have performed to the admiration of every single individual in the past three and half years, quite alright, the likely alternative is clearly worse.